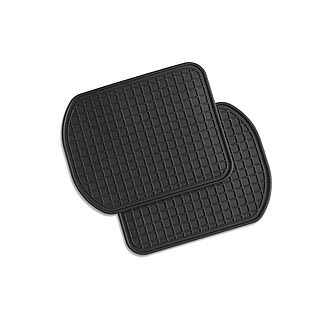 These floor mats conform to the interior contours of your vehicle for an excellent fit and a customized look. The grid pattern collects rain, snow, dust, and dirt to protect the floor from damage. A nibbed backing helps hold the mats in place.